Greek Music, Singers, Bands, DJs, Songs and More! Below you will find a list of the Greek music playlists that are available to listen to on the GreekBoston.com website for free. Listen to some of the best Greek singers and bands in Greek music from years past to current Greek music hits of today! Greek Music Videos – Watch Live Performance Video Music Clips from Famous Greek Singers! Pontiaka Music Playlist – Stream on your computer or phone some of the best Pontiaka! Zebekika Music Playlist – Stream on your computer or phone some of the all time classic Zebekika songs! Tsiftetelia Greek Music – Listen to some of the best Tsiftetelia songs here! Classic Greek Songs – Listen to some of the best and classic Greek music on this streaming playlist. Greek Wedding Music – Find that perfect Greek wedding song check out our Greek wedding playlist. Greek Christmas Music Playlist – Listen to Greek Christmas Music this Christmas season! Disclaimer for Greek Music on GreekBoston.com – GreekBoston.com acts as an internet radio station. GreekBoston.com does not sell any Greek music on its website, music can not be downloaded and can only be streamed through the internet. 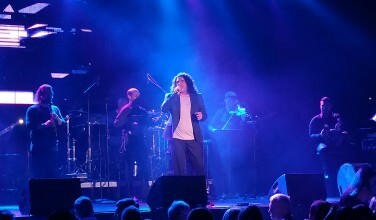 GreekBoston.com offers the Greek music sections as a benefit for its Greek audience online only.